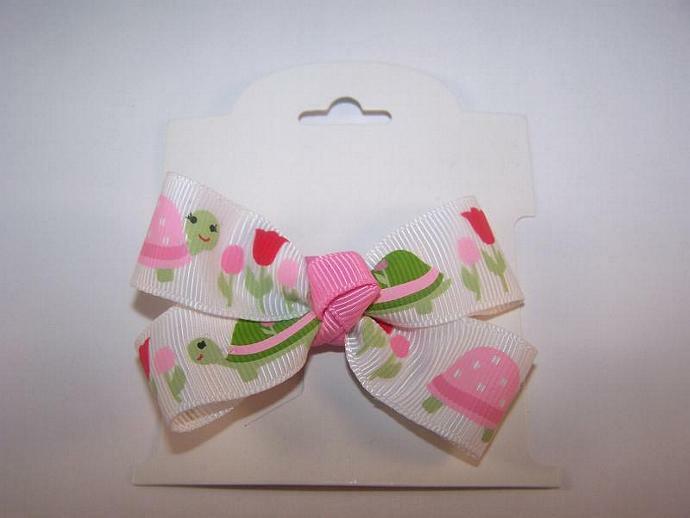 This dainty little clippie is perfect for babies, toddlers, teens or adults. 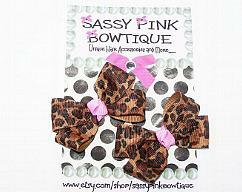 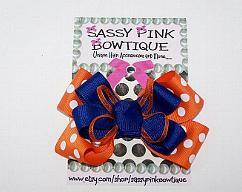 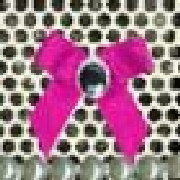 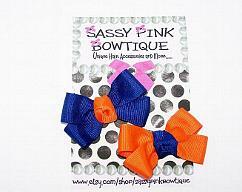 This bow measures about 3 inches and is attached to a lined 1 3/4 inch alligator clip. 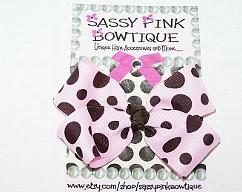 Perfect for back to school, photo shoots or just to add to that little princesses collection.